Dr Marina Carravetta is Associate Professor within Chemistry at the University of Southampton. 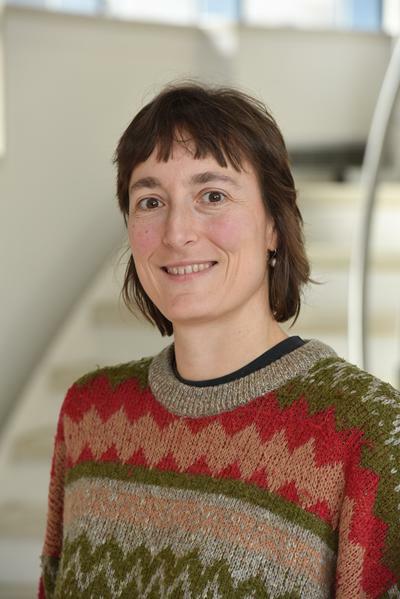 Dr Marina Carravetta is Associate Professor in the Magnetic Resonance area in the School of Chemistry at the University of Southampton, since 2016 and was previously a Royal Society University Research Fellow since 2007. Before that, she was a postdoctoral fellow in Southampton. She obtained her Ph.D. from University of Stockholm (Sweden) in 2003 and completed her undergraduate studies in University of Calabria (Italy) with honours. Marina's area of speciality is NMR, where she has a long track record of contributions in the areas of methodology developments (including symmetry based R sequences, singlet state NMR, nitrogen-14 detection, spin counting methods to name a few) as well as in the applications of solid state NMR to Materials Science, with particular focus on NMR on high-temperature superconductors and catalytic studies. Marina was awarded the BRSG-NMRDG Annual Prize for Excellent Contribution to Magnetic Resonance by an Early Career Researcher in 2011 and the Ernst Award in 2004. Marina is year tutor for year 3 and year 4 in Chemistry and a member of the steering group of WiSET (Women in Science, Engineering and Technology), overseeing their webpages and blogs. Marina is the Chair of the Institute of Physics magnetic resonance division (known as BRSG). The Carravetta research groups main field of research is magic angle spinning (MAS) solid state NMR, with applications to superconductors and materials, with special attention to catalysis. Our group is involved in the development of new experimental and computational approaches for the use of nitrogen-14 NMR in model systems and biological samples. Our research collaborates on multi-disciplinary reseach on endofullerene materials using NMR, IR and INS. Mr James Jarvis, Dr Phil Williamson and M.C, UoS matching funding. Jarvis, J., Haies, I., Lelli, M., Rossini, A., Kuprov, I., Carravetta, M., & Williamson, P. (Accepted/In press). Measurement of 14N Quadrupole Couplings in Biomolecular Solids Using Indirect-Detection 14N Solid-State NMR with DNP. Chemical Communications. Ge, M., Nagel, U., Hüvonen, D., Rõõm, T., Mamone, S., Levitt, M. H., ... Turro, N. J. (2011). Interaction potential and infrared absorption of endohedral H2 in C60. Journal of Chemical Physics, 134(5), 54507. Zhao, X., Carravetta, M., Madhu, P. K., & Levitt, M. H. (2003). Symmetry-based pulse sequences in solid-state NMR and applications to biological systems. Recent Research Developments in Biophysics, 2, 121-146. Glaubitz, C., Carravetta, M., Edén, M., & Levitt, M. H. (2001). Towards dipolar recoupling in macroscopically ordered samples of membrane proteins rotating at the magic angle. In S. R. Kiihne, & H. J. M. de Groot (Eds. ), Perspectives on Solid State NMR in Biology (pp. 71-83). (Focus on Structural Biology; Vol. 1). Dordrecht, The Netherlands: Kluwer Academic. Brinkmann, A., Carravetta, M., Zhao, X., Edén, M., Schmedt auf der Günne, J., & Levitt, M. H. (2001). Using symmetry to design pulse sequences in solid-state NMR. In S. R. Kiihne, & H. J. M. de Groot (Eds. ), Perspectives on Solid State NMR in Biology (pp. 3-14). (Focus on Structural Biology; Vol. 1). Dordrecht, The Netherlands: Kluwer Academic. Lecturer for CHEM2013 and for the Mathematics part of CHEM1033.